Emerging technologies, renewable energy, supply dynamics and regulatory demands — these all point toward the need for leaders at all levels to excel at change management. Frankly, it’s a business imperative. Yet how many leaders can juggle countless demands while guiding an organization toward a new way of doing business? Consider that there are operations to run, costs and stakeholders to manage, and so much more. When it comes to change management, leaders often appear most concerned with moving things along to minimize disruptions. What’s really needed is for leaders to engage people’s emotions, and to inspire them to believe in and proactively support intended changes. Whether you are implementing a customer information system, installing new transmission lines or undertaking plant modernization, the fundamental hurdle that all leaders encounter is overcoming people’s resistance to change. Change can be unsettling. Stepping outside our comfort zone often leads to fear, which can manifest itself in cynicism. This can also cause people to hold onto the status quo and never let go. Studies show that people don’t resist change as much as they resist loss of the familiar. Given this framework of what’s really happening during complex change, what can leaders do to effectively manage the process? 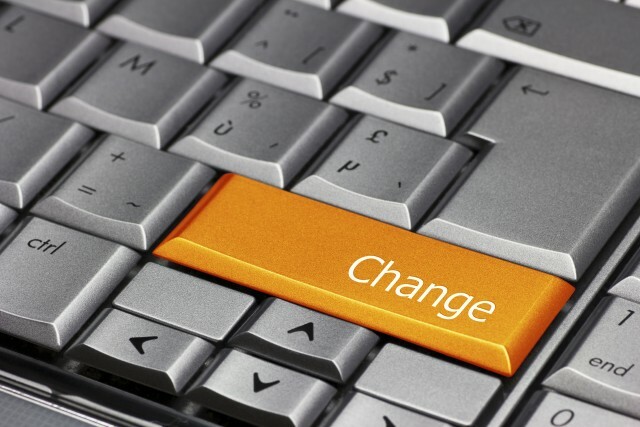 Without resiliency and the courage to adapt to new changes, the application of standard theoretical change models (such as controls, budgets, formal solutions and task forces) will have limited impact on people’s willingness to accept change. The following questions present three choices that challenge resistance and rally people toward a better future. Every time I have used these questions to help facilitate organizational change, they have elicited deep reflection, ignited conversations and sparked enthusiasm about what lies ahead. Q1: Will we be one of the 70 percent of organizations that fail, or one of the 30 percent that succeed at change? This powerful question can inspire an organization to succeed. Countless studies reveal that roughly 70 percent of change efforts fail, or fail to meet their intended outcomes. Large-scale change efforts can be daunting and overly complex, exerting a heavy toll on people. This can result in mismanaged business opportunities. By recognizing upfront that the vast majority of change efforts are unsuccessful, an organization can do a reality check. They can make a realistic assessment to determine the probability of success or failure, before significant resources are expended and edicts are handed down. Perhaps incremental change will be the best, first step. The organization can carve out what aspects of change to focus on, and be honest about the level of resolve and work needed to see change through. Q2: Will we expand our ability to shape our future? This question puts the issue of personal accountability for the success of change on the table for employees to examine and take action. In American systems scientist Peter Senge’s book, The Fifth Discipline, he discusses the concept of a “metanoic” organization. The Greek origin of the word metanoic means a transformative change of heart. Senge explains that this type of organization continually expands its capacity to create its future; it is the meaningfulness of the experience people are drawn to — of being part of something larger than themselves. This question presents alternatives most people truly desire; owning their future and creating a legacy. For example, an organization might redefine its role to provide improved services, to simplify business processes or to develop new functional capabilities through training. As the organization becomes known for new levels of excellence, employees will take more ownership for the success of their team. Q3: Will we acknowledge our fears and do what is necessary to implement change? This question makes people uncomfortable, which is exactly the point. We don’t learn things by doing what we have always done. Carly Fiorina, former CEO of Hewlett Packard, often talks about change at the personal level. She says that everyone is afraid of something. In addition, she says that the natural instinct of any organization is to preserve the status quo — it is human nature. What distinguishes successful people is what they do in spite of their fears. When people come together to express what’s holding them back, they begin to encourage risk taking and support each other in the process. This can be accomplished by introducing change initiatives at town halls or working meetings. Ask employees to pinpoint the stage of change (denial, resistance, exploration or commitment) that they are experiencing, and identify what actions they can take to make the change work to their advantage. Also, acknowledging how pervasive change is (such as showing examples of transformations in the business world and energy sector), enables people to more readily accept change as the way things are. This question motivates people to move beyond their fear and to do what is necessary to implement change successfully. Should leaders take up the organization’s time with these questions when there are so many things to manage in implementing a large-scale change initiative? Think of any significant personal change you have encountered. Until you had the resolve and developed the fortitude to tackle the change, I suspect it occupied so much of your attention that it was hard to accomplish anything else. It is the same for organizations. Until people are determined to make change work for them, most of the change activities organizations put in place will have minimal impact. The bottom line is that although leaders have always been trained to provide answers in a time of change, what matters most is to involve their workforce in a serious, thought-provoking and motivating inquiry about their desire to succeed. 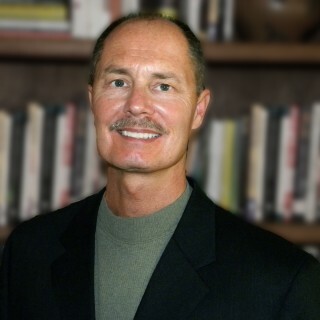 Dale Halm is a program manager for Arizona Public Service (APS). He has more than 20 years of experience working in high technology, utilities and education. He holds a Masters in speech communications and is a Registered Organization Development Consultant (RODC). Dale has contributed significantly to record-setting, start-up operations, resulting in multimillion dollar cost savings. His writings have been featured in the OD Practitioner Journal and the book, Best Practices in Leadership Development and Organizational Change.